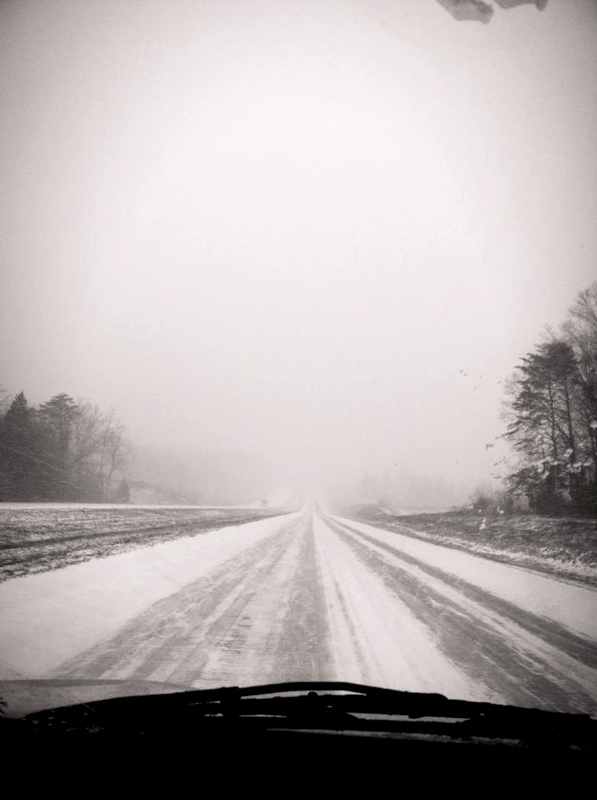 Blue Ridge Life™2013 – Photo By Stephanie Martin : This is what Route 29 North near Amherst, VA looked like Friday afternoon – January 25, 2013. As predicted, another round of light snow moved into Central Virginia around noon Friday. By far the heavier amounts by mid afternoon were in the southern tier of counties toward Lynchburg and points south. Amounts have been generally light, but with days of freezing temps it didn’t take much for the snow to start sticking easily. That created a few traffic problems across the area. Many schools either cancelled classes altogether on Friday or had a shortened schedule. The weekend remains cold, but a significant warmup is headed our way early next week with chances for plain old rain.